Fire and Ice is today’s stop on the official tour for Quincy Moves to the Desert hosted by Walker Author Tours. Summary From Goodreads: In the second book of the Quincy the Horse series, Quincy and his friend, Beau, leave the comforts of home and go on a big trip across the US on a huge horse van. Beau is in his element as Quincy’s tour guide. This is the story of Quincy’s journey of self-discovery. He has his doubts about the trip until Beau explains that they are going West where there are “Trails as far as a horse can see.” Quincy is soon soaking up the sights and to his amazement, he learns that “Horses are everywhere.” On the way he sees all the jobs horses can do and dreams about his own possibilities. By the time they reach the desert, he has learned something about himself. He is an American Quarterhorse, the breed that can do anything. Full of energy and imagination, the beautifully illustrated book includes a map of the US with nine highlighted states. Team Matthews and Black have provided a perfect sequel. Review: Horse enthusiasts and young readers alike will love Quincy Moves to the Desert as it follows the trek of Quincy and Beau to a new home. With beautiful illustrations and scenic vistas this book is not only visually welcoming but also educational. Your young reader will learn about different breeds and function of America’s horses as well as the sites and scenes of traveling West. Each illustration is adapted from a full color oil painting. 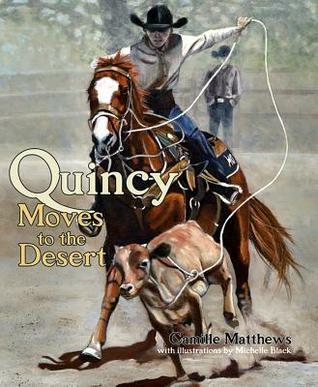 Quincy Moves to the Desert is a great way to teach your young one about the American West and the exciting adventure of two horses making their way across country in a horse van. We enjoyed it at our home. Author’s Bio: Camille Matthews is a licensed clinical social worker and author of the Quincy the Horse Books for children ages K-4t.h. She notes that most children have empathy for animals and identify with Quincy and his adventures which involve every day challenges that children face such as loss and change, a family move, confronting a bully and sibling rivalry. Matthews was born in Lexington, KY, an area considered by many the horse capital of the world. She loved to read and treasured her horse books. She was an only child and her favorite activity was visiting her grandfather’s farm where she learned to ride. As an adult she has been an avid equestrian. In 2002, she became certified in the relatively new field of Equine Assisted Psychotherapy and established the Pathfinder Program, one of the first equine assisted mental health programs in New Mexico providing EAP to children and teens. In 2008 she had the idea for a series of children’s horse books inspired by real events in the life of one of her horses. She teamed with Michelle Black, a horse trainer and artist in Farmington, New Mexico, to create the Quincy the Horse Books. Their first book, Quincy Finds A New Home was published in 2009 and awarded a Mom’s Choice Gold in 2010. The sequel, Quincy Moves to the Desert, released in August 2011, is a recipient of Mom’s Choice Gold and Tillywig Toy awards for 2011. The series will include at least two more of Quincy’s adventures. Quincy and Buck will be released later in 2012, Quincy and His Brothersin 2013. Matthews and Black have given great care to the details of horse life in the series and Black’s vibrant, authentic artwork brings Quincy’s world to life for young readers. For several months I have been working on a sister site for Fire and Ice. With four children of my own and one on the way I am always looking for good book recommendations. So, I am happy to announce the birth of our baby site, Little Red Reads! 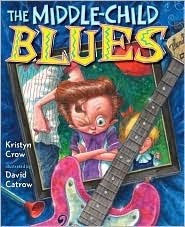 We will be reviewing titles from infant board books to middle grade. Come check us out here and be sure to follow us on twitter. Okay folks I admit I am not a pro vlogger but every once in a while I get a wild hair in bookstores. 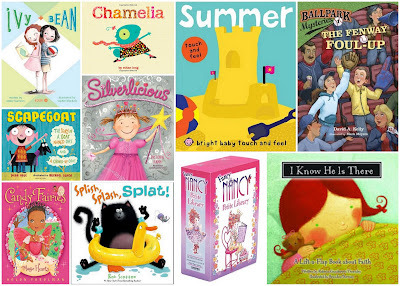 So, I wanted to post some of my wish list titles for this fall in Children’s Young Readers and Young Adult. Comment on YouTube or leave one of your wish list titles below and you’ll be entered to win a surprise ARC from our shelves at Fire and Ice. Good Luck. Giveaway ends October 12, 2011! Summer is well under way, so I have been hitting the bookshelves with my children ages 3-8 to encourage a reading program. Here are the top ten titles we all can’t wait to read! Click on the link to add it to your Goodreads TBR pile. Numbers 8-10 are available at Deseret Book. 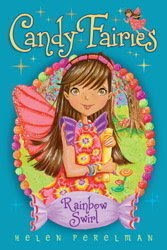 We picked up our first book in the Candy Fairies series a couple of weeks ago for my second grader and she is hooked. 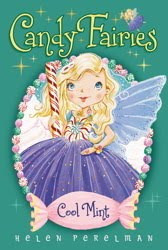 The “magically delicious” books are easy to read and contain various fairy adventures. I’m adding the entire set to our Christmas Wish List. 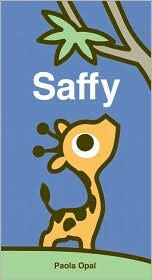 Published by Simon and and Schuster, they make a perfect chapter book gift for ages 5-9. Five stars from mom and a thumbs up from my toughest critic. About the Author “Helen Perelman enjoys candy from all parts of Sugar Valley, but jellybeans, red licorice, and gummy fish are her favorites. She worked in a children’s bookstore, and was a children’s book editor…but sadly she never worked in a candy store. She now writes full time in New York City where she lives with her husband and two daughters.” Visit her at http://www.helenperelman.com/. 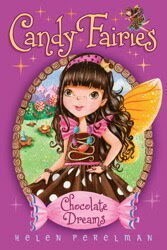 Description from Deseret Book.com “What happens when your imaginary friend turns into your imaginary enemy? New York Times bestselling author Brandon Mull and No.1 New York Times bestselling illustrator Brandon Dorman team up in this new children’s picture book that explores the meaning of friendship and imagination. Like many kids his age, Chad has an imaginary friend. His friend was Pingo. The two would fight ninjas, brew magical potions, and float in zero gravity. Each day was a fun-filled adventure, until Chad decided he was too old to have an imaginary friend. But Pingo wasn’t ready to leave Chad alone, and started tormenting him and causing all kinds of mischief. Can this once inseparable duo ever be friends again? 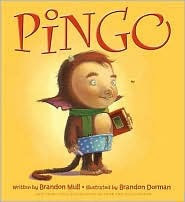 Paired with charming illustrations, Pingo is a delightful read-out-loud picture book for children ages 3 and up. Meet Pingo… complete with devil horns and polka dotted boxers. And get used to him because he’s not about to leave. He’s an imaginary friend turned to the dark side after being unsuccessfully dismissed by his owner. Pingo comes back playing pranks and leading Pirate raids in nighttime dreams. As Chad grows into an old man, he misses his side kick and they begin a whole new set of travels together. You’ll be giggling along with your children as the mischief is never ending! Pingo has swiftly become a family favorite. How clever it is to see the floating Fablehaven book in Chad’s room during Zero gravity fun. Brandon Dorman’s illustrations are out of this world! Pair his talent with Brandon Mull’s writing and you have a winning combination. My children were entranced with this little troll and his bright yellow cover. Enter to win a hardback copy of Pingo for your own home by leaving comment below. Contest ends December 8, 2010. The night before her baptism, a little girl wonders if God knows who she is. Through a dream, the Spirit takes her on a journey around the world where she receives an amazing answer. 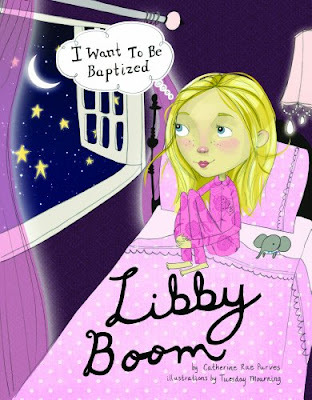 Libby Boom is one of the cutest Children’s books I have read in a long time. I saw it on the table by the check out at Deseret Book and was drawn to the wistful face drawn by Tuesday Mourning. The cover has raised lettering and a textured pattern feel as well as pink and white polka dots every little girl and mom will love. But, the real treasure lies in the hopeful message. Betsy is finally old enough to take cupcakes to Grandma all by herself—with the company of her faithful sheep, of course. And although wolves aren’t good for grandmas, Betsy lets her best friend, Zimmo, come along too. But will Zimmo’s wolfish instincts make Grandma the tasty treat instead? 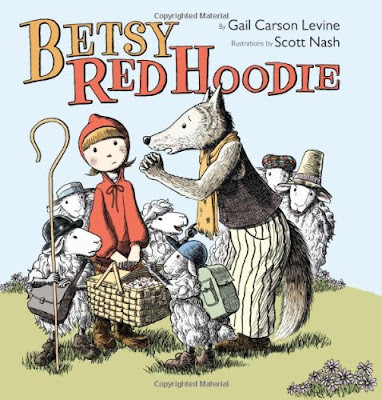 In her second picture book starring the feisty young shepherd Betsy, Newbery Honor author Gail Carson Levine teams up once again with Scott Nash to put a hilarious twist on an old favorite. This reimagining of Little Red Riding Hood is sure to delight readers from little lambs to cupcake-loving grandmas. Today’s Mom’s Monday featured book is a recent release from the author of Ella Enchanted. The first thing that drew me into this book was the quality of illustration done by Scott Nash. I am a fan of anything Little Red Riding Hood. The detail in depictions of the sheep and animals make an especially beautiful read. The pictures blend old fairy tales elements with modern day retro images. Little Red is wearing a hoodie sweatshirt, Farmer Woolsey is driving a very styling yellow classic convertible and Betsy’s mom owns a hip bakery complete with cupcakes. I tested Betsy Red Hoodie out on three of my kiddos ages 2-6 and their consensus was a thumbs up. Favorite scenes were the sheep sliding down the hill and the big two page illustration of Zimmo the wolf running through the forest. Adults will enjoy the fun conversation bubbles between sheep. 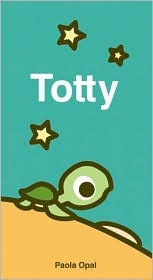 The book is written as a story book for young children but definitely has elements to pull in older readers. Overall, a fun colorful read looking at how Grandma has adapted since almost being eaten by a wolf. I first saw this book in a book catalog at our local independent toy store and I loved he illustrations. So, finally I bought this weekend and tested it out on the kiddos. Thumbs up! I enjoy the book’s rounded edges and sturdy pages as well as the simple but cute message. I am keeping them in the car for long rides. We are giving them away as a set to one of our blog readers! Contest ends May 12th, and is open to US and Canada only. I was born in Inglewood, California. At the time it was a scary gang-infested place, and our family home was ransacked and burglarized. I also remember my father having to chase someone down the street who was lurking around our property. Where did you attend college? I was an English major at BYU. I also worked at BYU in both the Admissions and School Relations Offices. It sounds cheesy, but my hobby is writing. I love to do it; I’m obsessed with it. It’s work and play at the same time. I also enjoy reading, biking, going on dates with my husband, checking email and Facebook, chatting with my sisters on the phone, and watching great movies. There are about ten DVDs that I’ve probably watched fifty times each (at least), and I never tire of them. What are your favorite all-time books? When did you start writing your books and how long did it take to get them published? I’ve been writing stories since I was a small child, and announced to my parents that I wanted to be an author when I was about six. I didn’t know any authors or writers, and have no idea where the desire came from. It’s something I’ve known I wanted to do from my very earliest memory. So considering how young I was when I had the dream, it’s hard to say exactly how long it took me to get published. But it wouldn’t be a stretch to say more than thirty years. Specifically, it took me about eight years to get my first book published, from the time I wrote it to seeing it on the shelves. Who is your hero/ mentor? My hero is my mother, Kathryn Gale Riley, who died of breast cancer on February 15, 1994 at the young age of 50. She taught me to believe I could accomplish anything if I worked hard enough. She had total confidence in me, even when I didn’t. And she cared deeply about even the most minute, insignificant details of my life. It’s hard to lose someone like that. My mentor is Rick Walton. Rick is the author of more than 75 children’s books, and he took me under his wing when I was a student in his class. He taught me how to properly craft a picture book and then — even more important–showed me how to navigate the frightening world of marketing and publicity once I began to sell manuscripts. I will be forever grateful for his wisdom, insight, and friendship. What suggestion would you give young writers? Don’t delude yourself by thinking writing for children is easy. It isn’t. Go to every writing conference and class you can possibly afford. Be an eager student. Pay attention and take notes. Seek out the authors who write the way you want to, and get advice from them. Find mentors – people who are ahead of you in the publishing process. Ask and learn from them. And of course, write, and get as much feedback from other writers as you can. Crave critiques like a junkie. Look for trends in the comments you’re receiving. What are you doing wrong in your story? Fix it. Keep getting feedback and fixing. Get feedback, fix. Get feedback, fix. Be driven and determined, and publication will happen. Where did the inspiration for your books come from? 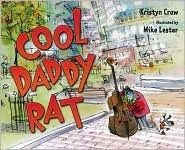 COOL DADDY RAT was inspired by three years of living in the heart of New York City. That place is its own universe, with a rhythm all its own, and the feel of it never left me. 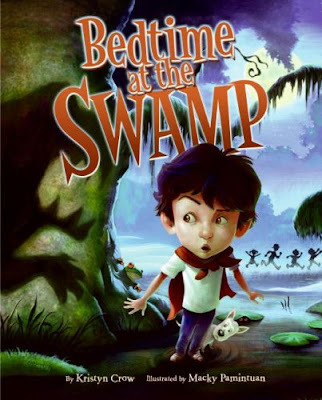 Writing BEDTIME AT THE SWAMP was a strange experience of sitting up to the computer, typing the first few lines of text, and having an uninvited chorus just storm right into the story. Then it took off running as I tried frantically to keep up. It hasn’t happened since, but I hope it will soon. THE MIDDLE-CHILD BLUES was inspired by the old Enjoli television advertisement I remembered from my childhood. It used part of the song “I’m a Woman” by Peggy Lee. It went, “I can bring home the bacon, fry it up in a pan….” That tune has been stuck in my head–honestly– for three decades. I especially loved the big band echoing the voice. “I can bring home the bacon,” BUM BAH DA DAH, etc. So I was sitting with my middle son goofing around on my laptop and started typing text with that tune in my head. “Well, first there was Raymond,” BUM BAHH DA DAH. “And then came Lee…” And since my middle son was sitting with me, I sang, “I’ve got the middle child blues,” and he laughed. It clicked. As is typical for me, the words and the rhythm of the manuscript come first. Then, when I’ve finally got a good vibe going I realize the story is a mess. So I have to go back and craft a story within the rhyme scheme I’ve set up. That’s the grueling part. It’s a backwards way of doing things. Are you working on any books right now? I’m always working on something. Right now I’m writing a middle-grade novel, and a handful of new picture books. What do you aspire to do before you die? Celebrate my ninetieth birthday. Hopefully I’ll have authored bunches of books. How do you find time to write/illustrate with other responsibilities? I’ve got seven children, so finding time to write has been challenging. I’ve had to use a laptop and position it in the center of the house, where I could generally observe kids coming and going and direct traffic. For many years there was no possible way for me to write alone, quietly by myself. I had to filter noise in my brain. Now, my youngest child is in first grade and I’ve finally got all day by myself to write. It’s been fantastic. What was your road to being published like? Ten years ago I registered for the Writing and Illustrating for Young Readers Workshop http://www.foryoungreaders.com/facultybios.html as an unpublished writer, snuck into Rick Walton’s class (they said it was full) and he thought my work was good enough to show to the visiting agent. He set-up a private meeting, but she only laughed at my work. Really. (It wasn’t a good laugh.) When I returned to Rick’s class, he picked my spirits up off the floor and referred me to a different agent, but I was afraid to go through that humiliation again. When I finally did muster the courage, I sent off my stories, and three months later the second agent enthusiastically signed me on. I often wonder, what if I hadn’t tried again? What is your all-time favorite children’s book? My favorite picture book of all-time is Saving Sweetness, by Diane Stanley. I think it’s absolutely brilliant. Do you have a writer’s group? I have an amazing writer’s group, and I believe every writer (aspiring and published) should be in one. I wouldn’t sell a single manuscript without the amazing insights of my group. I also love the way we cheer for each other’s successes, and support each other during times of disappointment. Thanks so much for taking the time to do an interview with us! Kristyn has generously donated for a giveaway! And watch for upcoming reviews and an author chat with her coming soon! To enter to win an autographed copy of her book “Big Daddy Rat”: leave your name in the comments below! +1 for telling us your favorite Children’s book! Total your entries and leave your links. Contest ends April 26, 2010 and is open internationally!